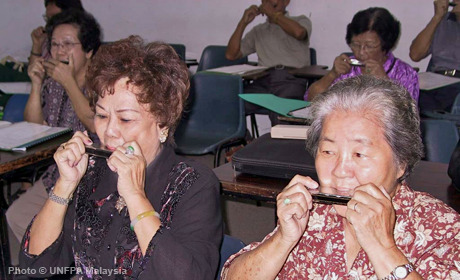 More than half of Malaysia’s population is below the age of 30, while the proportion of elderly people is fast growing. UNFPA has provided assistance since 1973. Today, it advises on key population and development issues, focusing on vulnerable populations and young people, in terms of their access to contraception and their sexual and reproductive health needs. Programmes further strengthen the response to gender-based violence through the public health system and support the incorporation of population dynamics in policy and programme planning. Through South-South cooperation, UNFPA also encourages the exchange of experiences between Malaysia and developing nations.